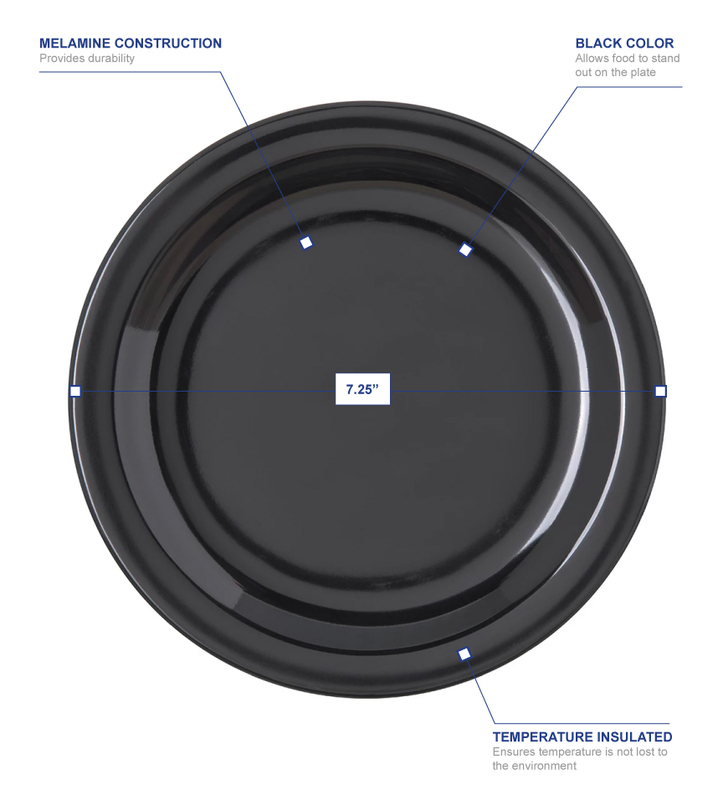 The Carlisle 4350303 Dallas Ware® salad plate is temperature insulated, ensuring hot and cold temperatures are not drawn away from the product. Constructed of melamine with reinforced rim and foot, the dish is durable and stackable. 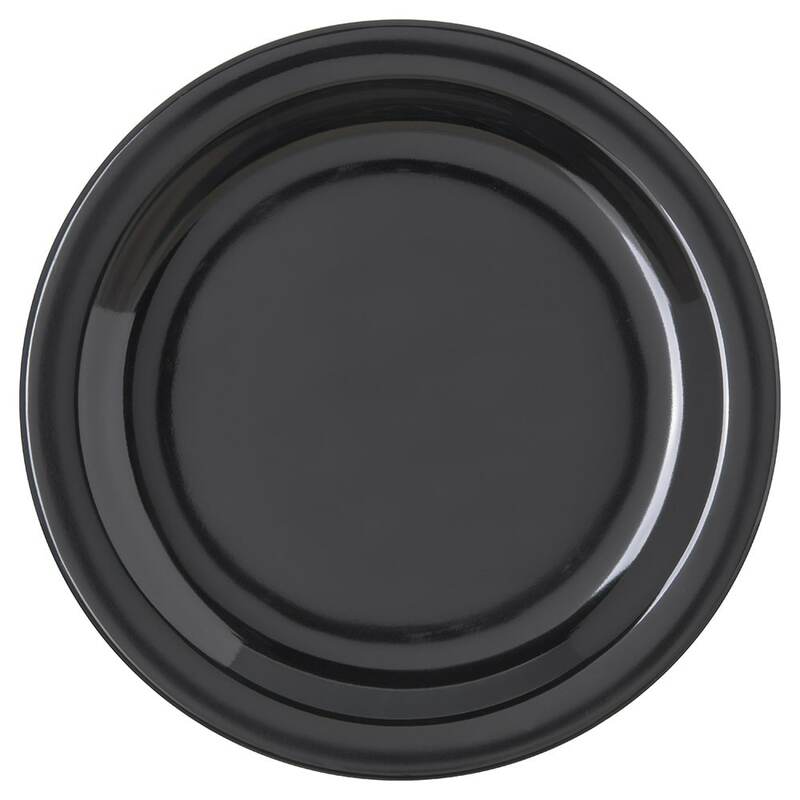 This plate comes in black to complement any theme.